Insurance minimums will increase on July 1 in Nevada for the first time in more than 30 years. Many Nevadans will gleefully double down at the blackjack table. Doubling up on car insurance, though, won’t prove quite as fun. On Sunday, July 1, Nevada’s auto liability insurance minimums are set to nearly double. It’ll mark the first increase in the coverages in more than 30 years. Liability insurance minimums are the smallest amount of car insurance coverage you’re legally required to carry in a state in the event of an accident. $25,000 in bodily injury coverage per person (previously $15,000). 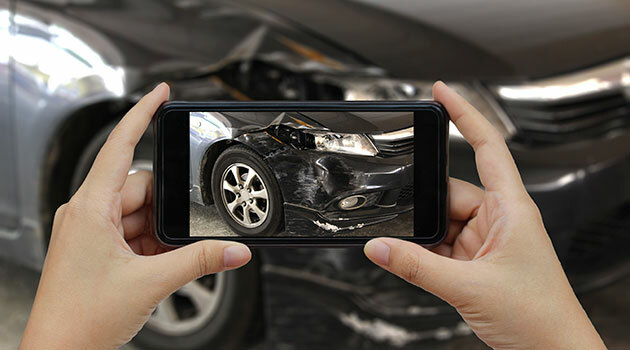 $50,000 in bodily injury coverage per accident (previously $30,000). $20,000 in property damage (previously $10,000). The hike will increase insurance premiums for one in three Nevadans. For those residents, monthly premiums could rise by $10 to $50 monthly, or up to $600 annually. That’s a concerning impact for low-income Nevadans, said State Senator Mo Denis (D-Las Vegas), one of the few state legislators to oppose the plan. Some Nevada insurance companies have already raised rates ahead of Sunday’s deadline, according to Nevada Insurance Commissioner Barbara Richardson. To offset the cost hike, Nevadans can look for bundling options, said Michael Geeser of the Nevada Insurance Council. "Figure out if there's a way to bundle different policies, whether it's your homeowner’s or renter’s insurance, along with your auto insurance to see if you can save," Geeser said. Check with your insurance company to make sure your minimums match the state standards by Sunday. For questions about the increases, Nevada put together a handy FAQ page.